Light a grill or preheat a grill pan. Tie the parsley and basil together with kitchen string to make a bouquet. Drizzle with 1 tablespoon of the olive oil and season with salt and pepper. In a medium bowl, toss the Romanesco with 1 tablespoon of the olive oil and season with salt and pepper. Grill the Romanesco over moderately high heat, turning occasionally, until crisp-tender and charred in spots, 8 to 10 minutes; return to the bowl. Grill the herb bouquet, turning often, until charred in spots, about 2 minutes. Transfer the bouquet to a work surface, discard the string and stems and chop the charred leaves. In a large bowl, combine the chopped herbs with the garlic, lemon zest and lemon juice. Whisk in the remaining 1/2 cup of olive oil and season with salt and pepper. 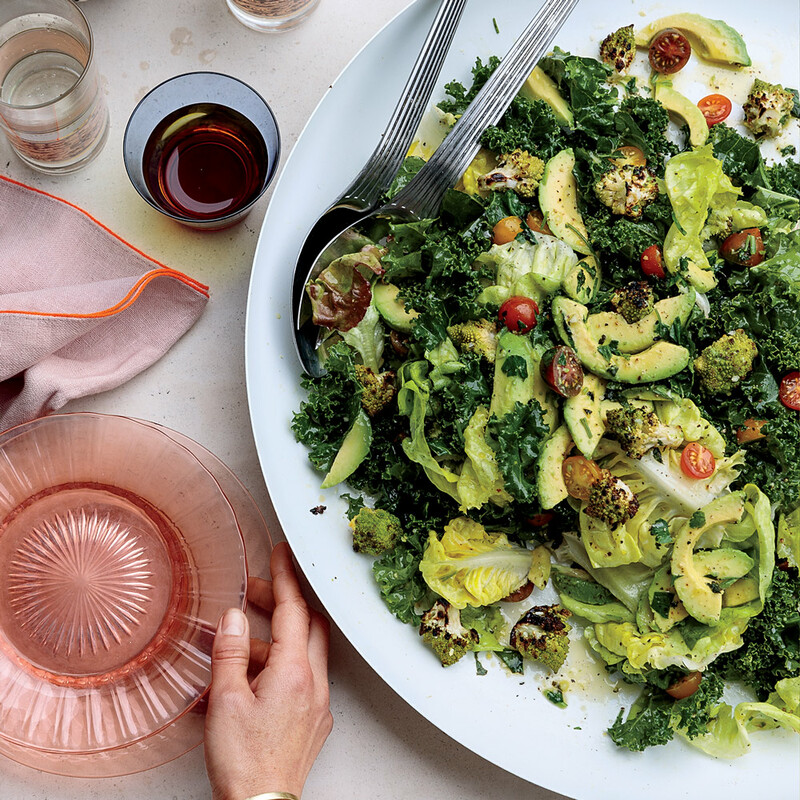 Add the Romanesco, lettuce, kale, tomatoes and avocado to the bowl and toss to coat; serve. Review Body: That herb dressing looks legit. Will be adding some garlic into it!